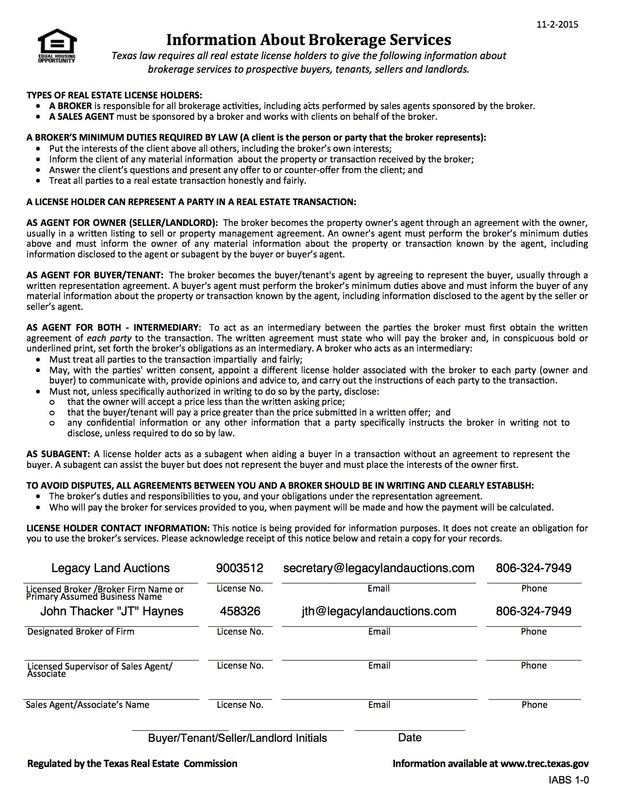 The team at Legacy Land Auctions is excited to announce the upcoming Yoes Ranch Multi-parcel Auction. Join us Tuesday, November 1, 2016 at 6:00 p.m. at the Devil’s Rope Museum in McLean, Texas as we offer ±2,390 acres of prime eastern Panhandle property in Gray, County Texas in 8 tracts. Parcels are perfectly suited for hunting, ranching, or possibly even farming. From rolling grassland to dramatic breaks and lush, wooded escapes, this property has something for everyone just half a mile north of Interstate 40 in Alanreed, Texas. And through the multi-parcel auction process, you don’t have to be interested in owning the full ±2,390 acre property to participate and to be the winning bidder. Contact us today to find out more about this exciting property or to discuss why a Legacy Land Auction is the smart choice to market your farm or ranch property. Visit www.LegacyLandAuctions.com/yoes for more information. A 10% Buyer’s Premium applies. Charlie Sellers – Texas Auctioneer License 17494.